Here you will find Angry Birds 2016 film trailer, pictures and plot. IMDB rating and user reviews will help you to understand if you should watch this animated movie in theater or buy on DVD. Also don't forget to check the similar cartoons! Rating: The average rating is calculated on the basis of 17 votes. Is Clay Kaytis, Fergal Reilly your favorite director? And do you like action,comedy,cartoon,family genres? 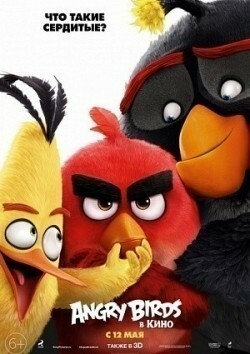 Then you certainly need to buy Angry Birds on DVD or watch the animation film in theater.